Is this missed miscarriage ?? hello im just wondering if anyone can share any success stories. I went for an early scan due to a small amount of brown discharge and they said that the baby was measuring 6 weeks with no heartbeat as yet. I thought I had just turned 9 weeks as my LMP was 10th April and I was using an ovulation kit so assume I conceived on 23rd April when we got the positive from our ovulation kit. I have to go for another scan in 2 weeks time, I really can’t see me being that far behind so fear I may have lost the baby. Has anybody been in a similar situation and come out ok? If you know for sure when you conceived based on using ovulation tests then it does sound like you may have had a missed miscarriage. I’m sorry! My first pregnancy ended in a missed miscarriage very similar to yours. I was 9+2 and had a very small amount of brown spotting. Went to the hospital and they scanned me... baby was measuring 6 weeks with no heartbeat. did you have bloods taken? If not, go ask your doctor to do a quantitative HCG blood test... they will measure he level of HCG in your blood then you go back for another blood test after 48 hours and they’ll measure it again. It the level drops then that confirms a miscarriage. It’s totally unfair of them to expect to you wait 2 weeks in this limbo! Especially as you know when you ovulated so you know your dates can’t be wrong. sorry that you are going through this, I also had a similar situation. I was sure of dates and actually baby still had a heartbeat when I had early scan, I should have been 7 weeks + but only measuring 6 weeks +. We went for another scan 2 weeks later and it was a mmc. Really sorry I can’t be more positive, but that’s only if you’re sure of dates, of course sometimes dates can definitely be out. thank you so much for your replies. i did actually end up having a miscarriage whilst abroad (We got back last Friday). Bleeding was really heavy but luckily wasn’t in pain whilst away. Had a scan the morning we got home and it confirmed everything had passed. He said there is 8mm clot there but they wouldn’t intervene with a d&c unless it’s 15mm or over and it should pass with my next period. How long did you wait before TTC again ladies? I feel ok emotionally, I’ve sort of come to terms with it now the physical part is over. the bleeding has stopped, just occasionally some very light brownish discharge on odd days but guessing this is just things getting back to normal? I’ve had no bloods taken the EPU have signed me off now and I’ve done a preg test and it’s negative now so all the hormones must be gone. I really want to try again asap, however the doctor did advise us to wait until I’ve had 1 period. We also go abroad again in October and I’m thinking should I wait until after that to risk miscarrying again due to flying etc ? I know there’s no evidence of this being harmful at all but I want to be so careful with the next time. If there is a next time, fingers crossed. Would you advise to wait until after then?? It just seems so long away! Sorry to hear that brookes. 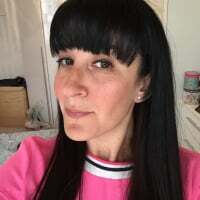 Yes after my 2 miscarriages I went on to have a successful pregnancy with my son who is now almost 3 & I am 15 weeks pregnant again now with twins... so having a miscarriage is definitely not the end!. Usually you can try again straight away so long as there are no complications... the only reason the doc advises to wait is so that they can accurately date your new pregnancy but that’s not really necessary as they can do that by a scan. I would though say wait 1 period because of the clot you have... im no expert but I would be concerned that that could affect implantation if it was still there so I would feel happier waiting for that to pass with the next period then trying again. With regards to flying... most docs say it’s safe to fly in the 1st & 2nd trimesters. My personal experience has left m cautious after I went on a 3 hour flight at 26 weeks and ended up in hospital for 4 days with pre-term contractions & then on meds for the rest of the pregnancy to stop them starting up again. It may have been a total coincidence but it’s enough to make me not want to fly pregnant again... (although I am being made to this time at 24 weeks.. long story!! 😩). I would say go for it as docs say it’s fine and thousands of women do it every year with no issues. Hi ladies I hope you don’t mind me jumping on this thread. I’m going through a similar situation & just wanted to talk. I should be 9w+2 today however I had some light brown spotting when I wipe last Weds & then an early scan at EPU on Friday which showed only a 6 week pregnancy with no heartbeat. They said it’s too early to know for sure whether it’s a dating issue or MMC & i have to go back for repeat scan in 2,weeks which is really tough. I think I’ve pretty much convinced myself its a MMC, as light brown bleeding has continued intermittently since with mild cramping occasionally although some pregnancy symptoms have continued. What do you think? 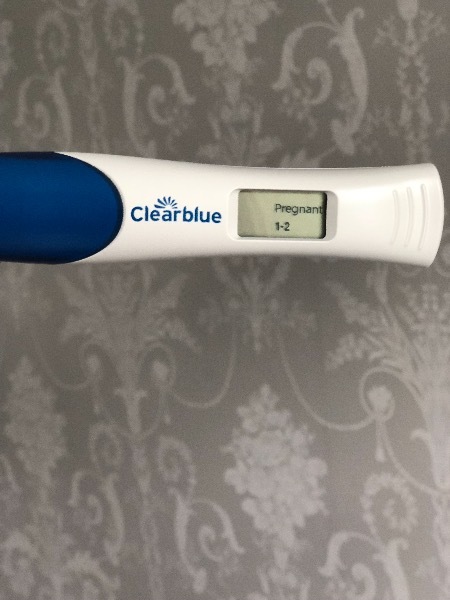 This is my first pregnancy, been TTC for 10 months the thought of starting all over again is really hard. LSR... with both my miscarriages my symptoms stopped suddenly.. so hopefully that’s a good sign for you that things could be ok. I would go ask your doctor to do a quantitative HCG blood test... 1 blood draw then another 48 hours later to compare HCG levels... if they rise then that’s a sign that the pregnancy is still ok, if they fall, it means that the pregnancy is ending. It’s terrible to be in this limbo for 2 weeks so if your doctor could do that for you then you will have some answers sooner. so sorry you are going through this LSR. your story sounds exactly the same as mine with the dates etc. for me the worst part was definitely being in limbo and not knowing what was happening. you may bleed before you go back for your next scan, but you will know if it’s mmc I’m sure as the bleeding would get heavier. Fingers and toes crossed for you it’s just your dates being a bit out. I literally read everything online and there were instances the same as ours and the babies were fine on the next scans. Hold onto hope, you dont know anything just yet. As promised, the results of my follow up scan were, well, confusing to say the least. Positives: there was a strong heartbeat seen & baby had grown since my last scan. I was extre surprised to hear this as I’ve been bleeding regularly but not heavily in the last two weeks including red blood & two very small clots. Not so good news was, baby had only grown around 6mm (they expect to see 1mm growth per day) so should have been 14mm Growth. So baby is still measuring very small, 6weeks 3daus which just makes no sense to me at all as I should now be 10 weeks going by LMP. How can this be? They said they cant say what will happen, as far as they are concerned there’s a healthy pregnancy of 6. 5 weeks and they are only re scanning me again in 2 wweeks due to the slow growth. But when I questioned it they said it can be a sign that the pregnancy won’t develop normally & the heart will stop before next scan. They can’t explain my bleeding other than it’s not around the baby & Just said that it’s “common but not normal“ & to keep an eye on it. Oh I’m so sorry That the scan today didn’t give you better news! It’s terrible that you are still left in this limbo! With the fact that they know for a fact that the baby has grown less than half the amount it should since the last scan, and babies at that age are very consistent with growth patterns, if it were me I would be going into self protect mode and preparing myself that this isnt going to end well. I’m sorry hun! That is so tough as today there is a good strong heartbeat. There is always some hope also it sounds like theres a chance this won’t work out. Ladies i am so sorry I didn’t reply sooner, following my scan with a heartbeat 2 weeks ago I continued to bleed intermittently and sadly this got suddenly worse and I miscarried at home last Saturday. It was really quite traumatic although I’m glad it happened on its own without needing the surgery/tablets. I also feel somewhat strangely relieved we know now & have some closure as the limbo period was very difficult. We’re both devastated but trying to keep positive for the future. I have good days & bad, sometimes the tears just come out of nowhere. Everyone keeps talking about “trying again” because I’ll be really fertile now apparently but i just can’t face that at the moment, the fear of this happening again is very raw and I think I’m most sad that this process won’t be a happy one for us now, excitement and anticipation have been replaced by fear and anxiety about what might be...does this feeling get better with time? Sorry, I should have asked...how are you both getting on? brookes764 did you start trying again or decide to wait until after your holidays? We’re going on hols in September which is much needed! Maybe I’ll feel ready then. Aw LSR, such a mixed bag of emotions like you say isn’t it... I remember feeling the exact same way.... onbviously the sadness and grief is huge and can at times be overwhelming but it does eventually get easier to deal with. You will never forget and I still think about the babies I lost often but I can think about them now without crying So that’s the best I can hope for! I found a couple of things to be helpful... 1 was making a memory book for each baby... I put in a letter to them & scan pictures. it was extremely hard to do but I felt a sense of release When it was done. I also got a little memorial ornament from a company on Etsy called ‘midnight orange’... they’re a little pricey but are so beautifully made that it is worth every penny... mine has a mummy figure sat with 2 babies with rainbow wings around her. I love it. as for the anxiety about future pregnancies... I can honestly say it is always with you and certainly for me didn’t get any easier... it does rob you Of the joy and excitement of pregnancy.. but just acknowledge your fears, talk about them and take things a small step at a time / don’t focus too far into the future... focus on the next week marker, next doctors apt, next scan etc and the time will be easier to pass that way. ps... yes doing well here thanks... 21 weeks now! I felt the same as you, relieved that my body did what it needed to itself and there was no more dramas expelling everything etc. Couldnt agree with you more re closire, honestly I’ve just read your reply and I could have written It myself. during my 2 week wait to see if I was going to mc I was beside myself constantly crying and confused. Then once it was all over I did feel like I got it together and then surprisingly I felt ok. I too had 8mm of tissue left following the mc which shown up on my follow up scan. The sonographer said they only intervene when it’s 15mm or more and he said I will pass it with my next period following the mc, I had that 4 weeks ago (exactly 4 weeks from when my mc bleeding stopped) and I didn’t have any clots or anything but 8mm is only tiny isn’t it so Im sure it probably passed As he said it would. Ahhhhh Brookes764 I’m so happy for you that’s amazing news!! You deserve this happiness after your sadness & loss, I’m so pleased you didn’t have to wait a long time for it. I hope your not feeling too anxious, I would say try & relax but that’s probably all anyone keeps saying & im sure you will do whatever you need to do to get yourself through to the 12 week scan! We are here if you are having a wobble and need to talk. Sending lots of positive vibes your way. SW2 I’m glad to hear everything is going well with the twins, please keep me updated of both of your journeys, it really helps to hear of others happy endings after heartbreak.